People who kitesurf always share the most intense memories with others.. If you heard someone talking about it is usually words like “it drag me” , “too much power” , “flying over” etc etc. Now, the reality is much simpler. On your first lesson we go through the setup of the kite and bar, after that we show and explain all safety systems and procedures. When we finish with the setup the instructor launches the kite and then it passes the kite to the student. We begin with the most basic flying skills and slowly proceed to more advanced kite flying techniques. As a closure to the first lesson we get in the water for the first time and do our first body drag, we get out and pack the kite. Thats the first lesson. Pretty easy but quite hard at the same time, if you enjoyed your lesson immediately book your second lesson. Setup the kite, and get in the water. In this lesson we show water relaunch , body drags and power strokes. Probably the most fun lesson of all. All of these take quite some time so the 2nd lesson has come to an end. Setup , get in the water. Body drag again and then body drag with the board. When you feel comfortable but it on your feet and good luck :). Is just the standing up on the board. Have in mind after the forth lesson you already have spend 8 windy hours on the beach, you have setup your kite 4 times and packed it four time. 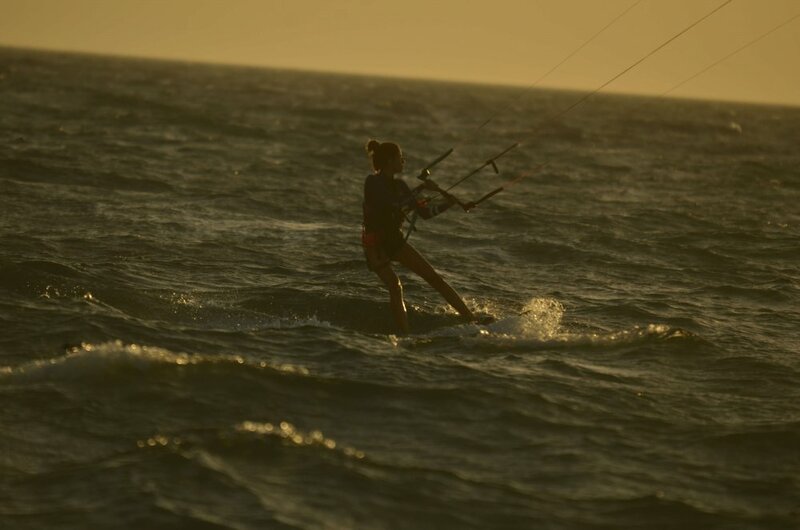 You have walked couple of kilometers with the kite in your hand and did a lot of body drags.You are almost ready to be an independent kitesurfer. And at the end of this , yes you made it. Like life, its hard but it worths it. One Response to Will I make it? I would like to enrol for lessons in kitesurfing. I have experience with set up and safety and body dragging as well as safety. But I didn’t manage to surf. Can you help?